Armed with magic markers on a playground of subway cars and building walls, kids growing up in 1970s New York City picked graffiti as their game of choice. 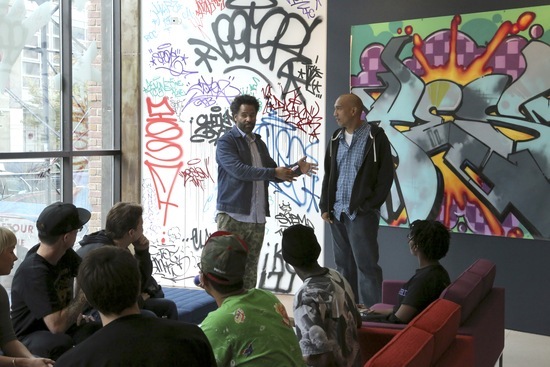 That’s how former Rolling Stone reporter, culture historian and co-curator of graffiti art exhibit “Write of Passage,” Sacha Jenkins, describes his childhood in 1977 New York, in the midst of graffiti’s beginnings. Jack Stewart’s 1974, “Match Roll of Red Cars” on display at “Write of Passage. The exhibit, now running at Red Bull Studios in New York, tells the story of graffiti’s history, a movement that began in the middle of a city where, “like baseball cards, kids would trade photographs of New York City subway graffiti,” and grew to become a globally cultural phenomenon. Graffiti culture sprung up in New York City during a time when funding was cut for the arts in public education. It morphed into an artistic expression that cultivated a foundation for future graphic and fashion designers, fine artists and logo creators. 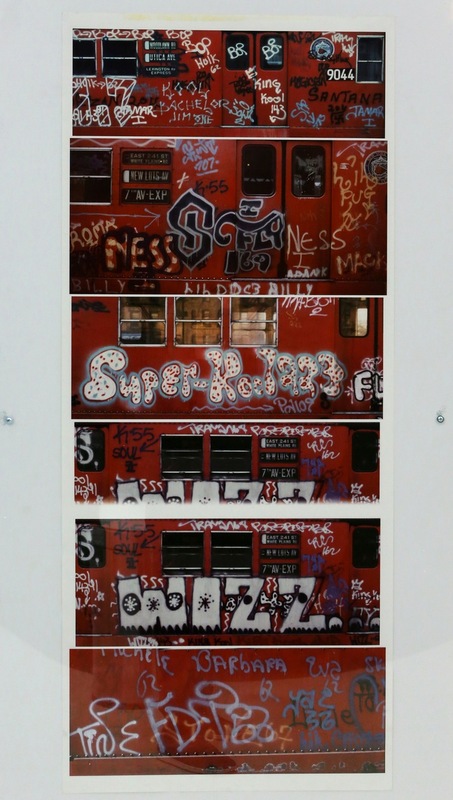 And though the art form has been associated with crimes of vandalism — it even took center stage during New York City Mayor Rudy Giuliani’s plan to revamp the city during the 1990s — for Jenkins, and many of the friends he grew up with, graffiti was a written language that created a community on the fringes of New York. “Media called it graffiti, but we called it writing. We were just writing our names in the beginning,” said Jenkins. Now, “Write of Passage” opens at a time when graffiti and street art are in the mainstream conversation, due in large part to the popularity of street artists like Banksy, who just finished an October “residency” on the streets of New York, and Shepard Fairey, known for his iconic “Hope” poster of President Barack Obama. But street art is not the same as graffiti, said Jenkins, though the terms are often used interchangeably. Street art is figurative imagery; graffiti is a form of writing. Jenkins equates it to language. But he said, “it’s a language people aren’t familiar with.” And so the exhibit aims to teach people how to understand graffiti and its evolution. The exhibit features more than 100 pieces of vintage graffiti. 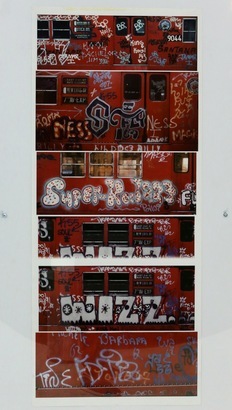 It pays homage to its vagabond beginnings with one of its largest features, an old Subway train covered in graphic text. And several educational panels focused on different aspects of the history, including one conversation between a police officer and the graffiti artist he once chased. 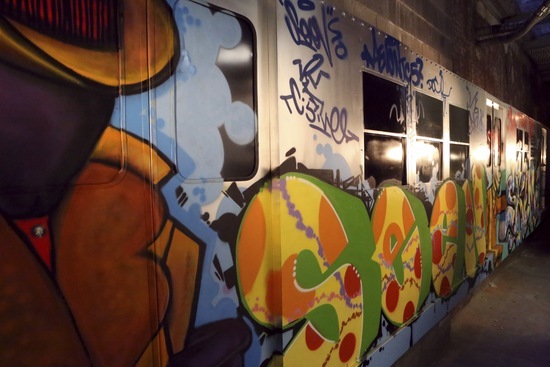 Jenkins hopes people will walk away from the exhibit with a broader understanding of what graffiti culture is and how that culture has been passed down from generation to generation. “Write of Passage,” co-curated with culture magazine Mass Appeal, runs at the Red Bull Studios at 218 W. 18th St., New York through Nov. 23. The space is open to the public from 1-5 p.m. on Saturdays.